The big, round knob is typical for polo crops. This Australian example is all-leather with a steel/rattan core. It is evenly braided, unbelievable that this is just 6plait! 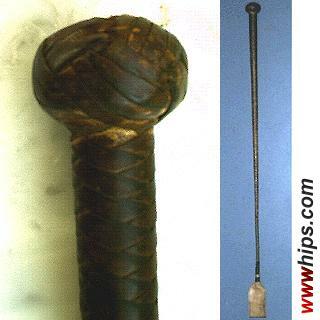 The wide slapper was recently replaced and is made from kangaroo hide. The detail shows the knob and braiding.